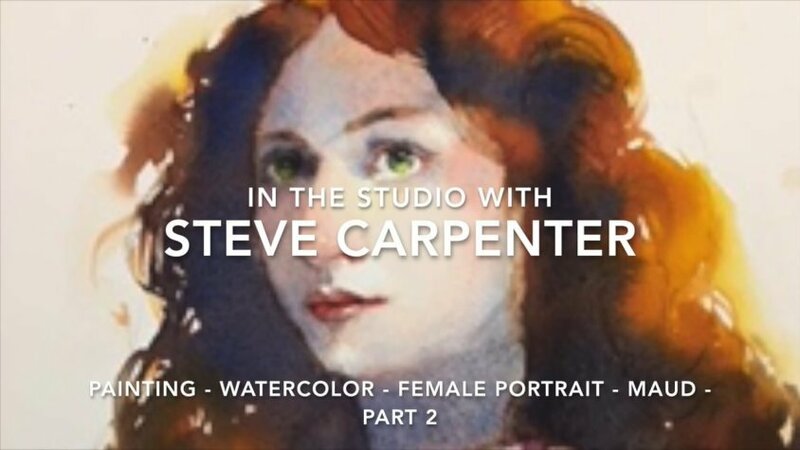 Part two continues the watercolor painting video demonstration to completion. Moving from the construction of the imagery and introductory color composition, Steve begins with designing the hair form. As the painting develops bold color application will be investigated, dark and light values will be intensified, and detail will be refined in the face and clothing. It is this stage of the watercolor painting where artistic choices will determine the final result. A final analysis and corrective options are considered. 00:27:40 - Addressing the clothing, making decisions about color, detail, etc.